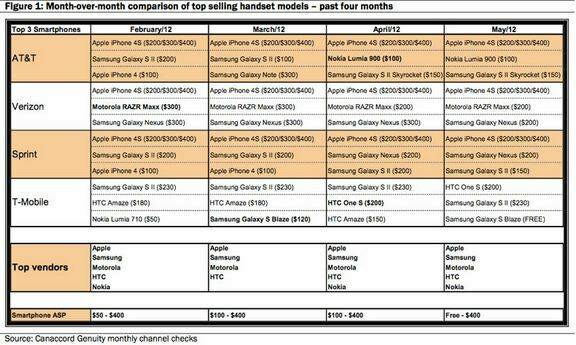 The iPhone 4S remains the top-selling smartphone in US’s three top carriers, AT&T, Sprint, and Verizon, according to Canaccord Genuity’s Michael Walkley who provided these details to AppleInsinder. 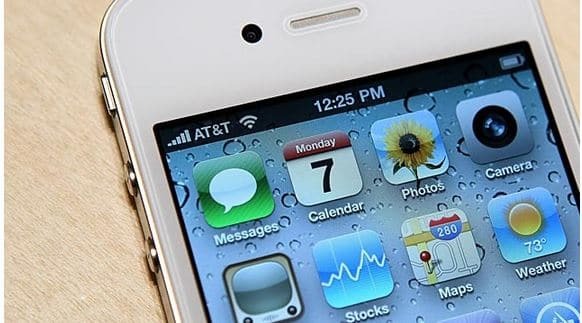 The research shows that the iPhone 4S remains the top-selling smartphone, but Motorola Droid Razr Maxx (second place) was almost taking the iPhone 4S’ first place at Verizon, the top carrier, followed by Samsung Galaxy Nexus. 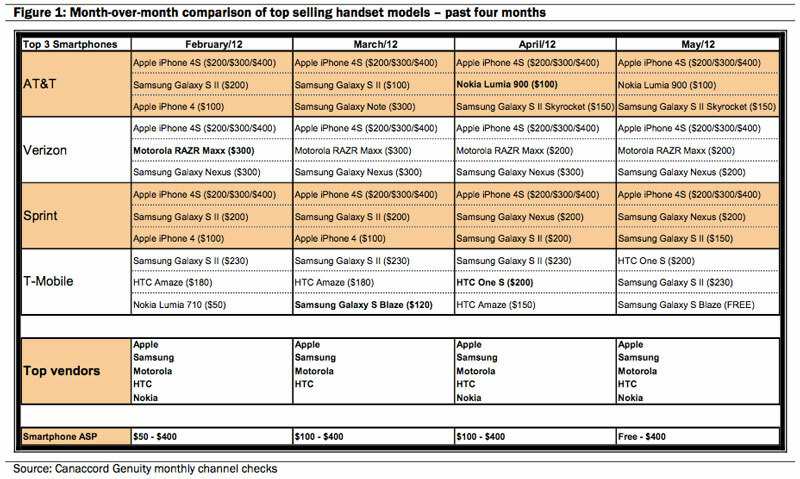 The chart also shows that the iPhone 4S was the most popular smartphone at AT&T and Sprint as well during the year first four months. AT&T was having the Samsung Galaxy S II and Nokia Lumia 900 later as second best-selling smartphone, while Sprint had Apple’s iPhone 4 and Samsung Galaxy S II.